Metabolism and Weight Loss: What's The Connection? 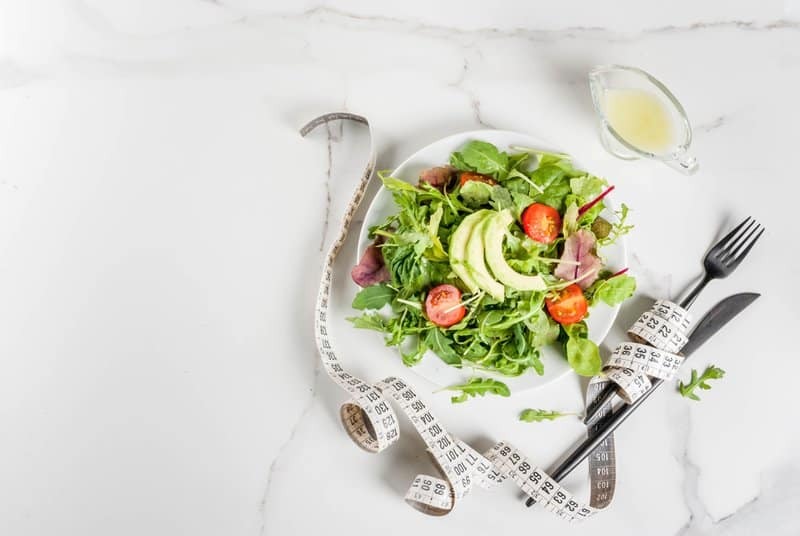 Home Nutrition & Diet Metabolism and Weight Loss: What’s The Connection? Metabolism and Weight Loss: What’s The Connection? Takeaway: A lot of us blame our inability to lose weight on our metabolism, but is that really the case? The truth is that metabolism is linked to our weight, but a slow metabolism is not always the reason behind weight gain in our body. Your metabolism impacts your body’s energy needs, but eating habits and level of physical activity is what ultimately determines the number on the scale. Metabolism and weight loss are not as closely related as you may think. There are several factors that determine when, how, and at what rate you lose weight. By definition, metabolism is defined as the sum of the processes by which a particular substance is handled in the living body. These specific substances are carbohydrates, fats, and proteins that come from our food supply. When we eat, our food gets digested and breaks down into small vital nutrients our body needs. It then gets absorbed through the process of metabolism, and our body turns these nutrients into energy. Your metabolism is affected by many things such as gender, age, muscle mass, and activity level. In turn, our metabolism truly determines how quickly you burn calories or fat. To convert food to energy to run cellular processes. To convert the carbohydrates, fats, and proteins into ready to use energy sources such as fatty acids, amino acids, and glucose. A lot of us blame our inability to lose weight on our metabolism, but is that really the case? The truth is that metabolism is linked to our weight, but a slow metabolism is not always the reason behind weight gain in our body. Your metabolism impacts your body’s energy needs, but eating habits and level of physical activity is what ultimately determines the number on the scale. Body size and composition: People who have a larger body frame require more energy at rest and people with a higher amount of muscle mass have higher caloric needs. Muscle cells are very active cells and need more calories than usual to function. Those with a leaner composition will be able to consume more calories without gaining weight. Gender: Your gender can influence body fat. Men tend to have more muscle and less body fat than women of the same age and weight. Therefore, men typically burn more calories at rest. Age: Muscle mass tends to decrease as we get older. Fat accounts for more weight than muscle as you age, which slows down the number of calories you burn. Digestion– Calories are also used to digest, absorb, and transport all of the food you eat. About 10% of the calories obtained from the protein and carbohydrates you eat are used to digest and absorb nutrients in the body. Exercise and physical activity – Physical activity also determines how many calories you burn per day. This factor has the most fluctuation from person to person because we don’t all spend the same amount of time at the gym, walking our dog, or cleaning the house. Metabolism and weight loss are not as correlated as calories and weight loss. To effectively lose weight, you need to be in a calorie or energy deficit. To create an energy deficit, you need to either eat fewer calories throughout the day or increase your physical activity to burn more calories or both. 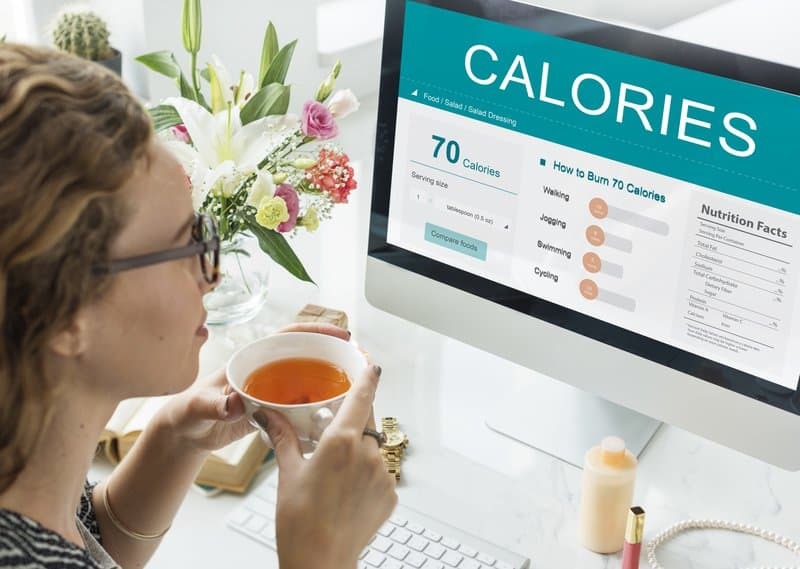 While you don’t get too much of a say when it comes to your metabolism, you do have a say in the number of excess calories you burn through your daily level of physical activity. Staying physical doesn’t have to be complicated; small lifestyle changes can go a long way. You can boost the number of calories you burn by parking further away, taking the stairs, washing your car, or just taking a quick lap around the neighborhood when you get home from work. However, for some people, it takes more than the occasional flight of stairs to burn enough calories to start losing weight effectively. According to the American Heart Association, we should aim to complete 30 minutes of daily physical activity. Cardio—walking, jogging, running, swimming, bicycling—is a great way to burn a ton of extra calories throughout the day. Engaging in physical exercise is also an effective way to reduce and prevent cardiovascular disease. Strength training can also kick your calorie burning up a notch. It is recommended that you incorporate strength training at least two-three times per week. Muscle mass is a key factor in weight loss and burns more calories than fat tissue. Research also suggests that a high-rep routine is not any more effective than a low-rep routine with the same intensity. So if you are opting to weight lift as a way to burn more calories throughout the day, remember to keep quality, not quantity in mind. In the end, if you build more muscle you will be able to burn more calories at rest and increase your metabolism. Most of us blame our weight gain on our metabolism, but weight gain is a lot more complicated than that. There are only a few medical problems that can severely impact your metabolisms, such as a significant loss in muscle mass, Cushing’s syndrome and hypothyroidism. There are a lot of factors that can determine weight gain or weight loss in your body. Genes, hormones, diet, lifestyle, level of physical activity, and your everyday environment all play a role when it comes to weight gain. But one thing is for sure—you gain weight when you eat more calories than you burn and vice versa. Although our metabolism is pretty consistent and losing weight is mainly about burning more calories than we consume, there are a few trick and tips to increase your metabolism and weight loss. Below are a few ways you can improve your metabolism and lose more weight to feel better, both on the inside and outside. The first rule to follow when you are trying to lose weight is never to drink your calories. Protein shakes, and meal replacement shakes are usually an exception to this rule. However, research shows that individuals who eliminate or reduce sugary, highly-processed drinks from their diet manage not only lose weight but also keep the weight off. Replacing any soda, juices, and other sugary beverages with water is an easy way to reduce your calorie intake. One research study suggests that drinking water induces thermogenesis, which can temporarily speed up your metabolism. Just 17 ounces of water can increase your resting metabolism by 24% for about an hour. Drinking plenty of water throughout the day can also help you feel fuller, consume fewer calories, and help you lose weight. Sitting for an extensive period is detrimental to your health, especially for those of us who spend long hours in front of a computer at work. Prolonged sedentary time gets in the way of optimizing your calorie burn and ultimately leads to weight gain. Make an effort to stand up every hour while you’re at work. If you own a smartwatch, there is usually an automatic setting that alerts you when you’ve been sitting for too long and need to get up for about a minute or two. You can replicate this by setting hourly alarms on your phone that remind you to stand up and take a lap around the office, walk to the bathroom, and refill your water cup. Depriving yourself of sufficient sleep can hurt your metabolism. Laboratory studies have clearly shown that sleep deprivation can alter the glucose metabolism and hormones involved in regulating metabolism. Many people who are sleep deprived struggle to lose weight because lack of sleep had been linked to increased blood sugar levels and insulin resistance. According to Public Health Publications, a lack of sleep can also cause an imbalance in your ghrelin and leptin hormones—the hormones that work to promote and reduce hunger. A great way to added intensity to a stagnant workout routine is to incorporate some high-intensity interval training (HITT). HITT is an intense workout that is sure to get your heart rate up and get the blood pumping. Studies show that this fierce workout can increase your metabolic rate and help you burn calories even after your workout has ended. Also, building muscle can help increase your metabolism because muscle burns more calories than fat. People who carry more muscle in their body tend to burn more total calories throughout the day than those with a lower muscle mass. Because your metabolism drops when you start losing weight to combat what is known as starvation mode, lifting heavy weights will not only help you fight a slower metabolism but also help you retain muscle. Muscle will help you burn more calories at rest resulting in keeping the weight loss off in the long run! There is this popular misconception that eating a particular food or group of foods will drastically improve your metabolism. There is no superfood out there that will impact your metabolism enough to induce weight loss on their own. While the metabolic effect is present, these foods need to be combined with additional health efforts such as staying hydrated, getting enough sleep, staying active, and eating frequent, small meals throughout the day. Below is a list of metabolism-boosting foods that help with weight loss when combined with some of the other tactics mentioned in this article. Green tea is always cited as a great drink to boost metabolism, and there is research that confirms that. In combination with a healthy diet, green tea and oolong tea can increase metabolism by 4%. Because tea is low-calorie, it is an excellent beverage for weight loss and weight maintenance. 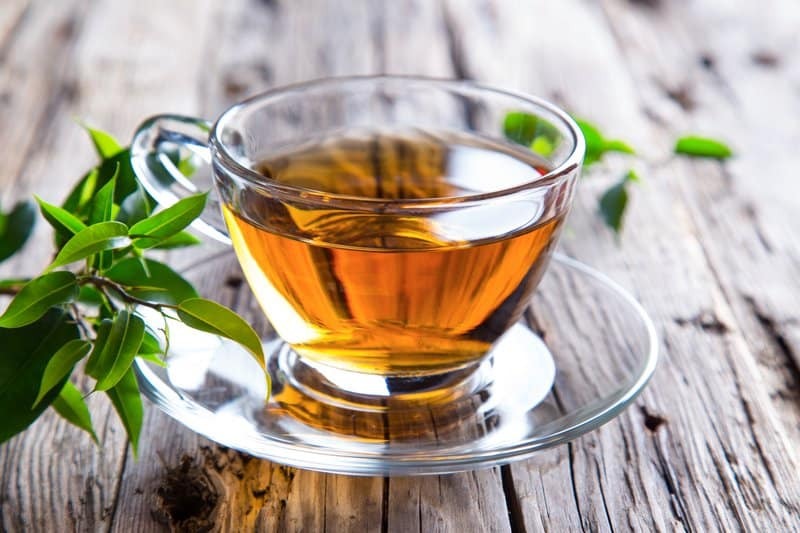 Green tea does not affect everyone the same; there are cases where regular consumption of green tea did not affect metabolism. Like green tea, the caffeine in coffee can boost metabolism and promote fat burning in the body. The research found that regular consumption of coffee can have a significant influence on energy balance and may promote thermogenesis. Coffee is also an effective way to distract yourself in-between meals instead of reaching for a calorie-dense snack. It’s best to drink your coffee without any cream or sugar to optimize your weight loss. 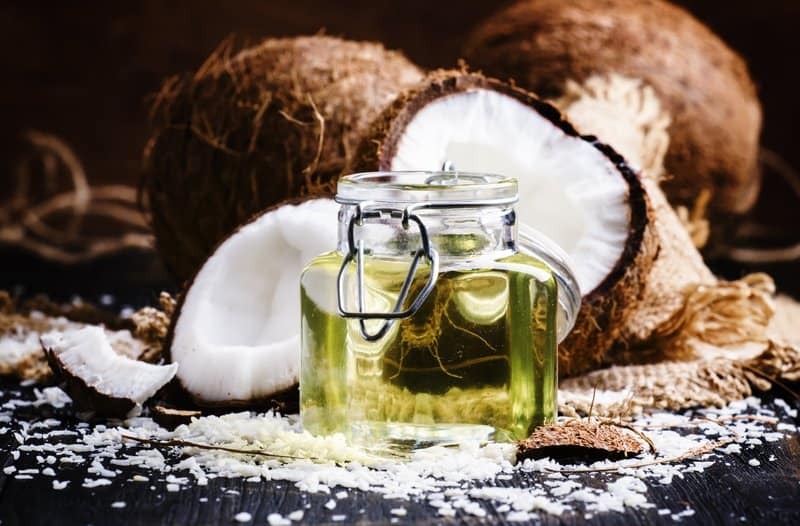 Coconut oil is unique in that unlike other saturated fats; it is high in medium-chain triglycerides. Medium-chain fats are more effective in increasing your metabolism than long-chain fats. In one research study of seven healthy males, consuming medium-chain fats increased metabolism by 12% as opposed to long-chain fats, which only increased metabolism by 4% after consumption. Replacing other cooking oils with coconut oil can help with weight loss and improve your metabolism. Several animal studies show the positive effects of apple cider vinegar when it comes to burning fat. One study found that apple cider vinegar reduced belly fat storage in obese rats. There is limited research on apple cider vinegar boosting metabolism in humans. However, some people swear by it as a way to curb hunger, help digestion, and burn fat. One study did result in participants consuming almost 300 fewer calories throughout the day when they drank four teaspoons of apple cider vinegar. Other studies have found it reduces postprandial blood sugar spikes which in turn helps our body manage its calories after a big meal. 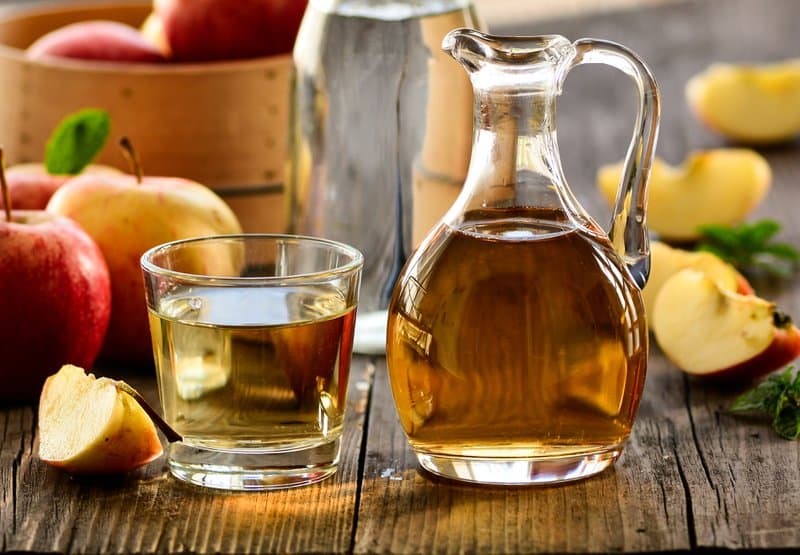 It is recommended that you read up on the side effects of apple cider vinegar before incorporating it into your diet if you have a sensitive stomach, as it is possible that the cons will outweigh the pros. Ensure that you are getting enough protein in your diet. The best sources of protein are meats, fish, eggs, dairy products, legumes, nuts, and seeds. Proteins are harder for your body to digest, meaning that they require more energy from your body. By using more energy, you are burning more calories, and forcing your metabolism to increase. Protein-rich foods expend a larger number of calories when your body digests, absorbs, and processes nutrients than do foods high in carbohydrates and fats. Protein-rich foods increase your metabolic rate from 15-30%. Because protein is an essential part of muscle mass growth and repair, it can also help to reduce the drop in metabolism that usually occurs when an individual is actively trying to lose weight. Not to mention that a protein-rich diet also helps to keep you feeling fuller longer and helps reduce mindless snacking throughout the day. 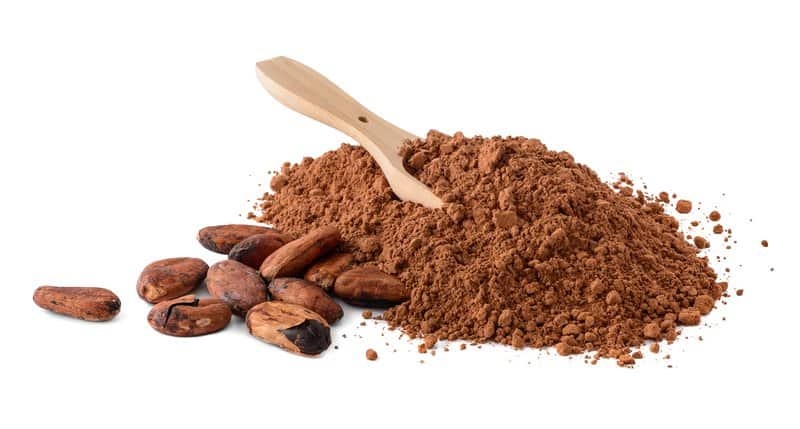 Although more research is needed on the effects of cocoa on human health, cocoa seems to have some promising metabolism boosting characteristics. In a 21-day research study, rats were fed either of two high-fat diets, differing only in supplementation with real or mimetic cocoa. Results showed that body weight was significantly lower in the rats that were fed the real cocoa diet than in those that were fed the mimic cocoa diet. The cocoa proved to regulate the expression of genes for fatty acid metabolism. If you’d like to give cocoa a try, opt for raw versions to avoid any cocoa that has been highly processed and contains added sugar. Chili peppers contain capsaicin—a chemical that may boost metabolism by increasing the number of calories and fat burned. Capsaicin has also been known to reduce appetite. Although not all research studies agree on the benefits of capsaicin for metabolism-boosting, one study did show that consuming 2 mg of capsaicin before each meal reduce the number of calories consumed. Iron, zinc, and selenium are essential to your body. All three of these minerals play a key role in the proper function of the thyroid gland, which is partly responsible for regulating your metabolism. A diet that is too low in iron, zinc, or selenium puts you at a higher risk of reducing the ability of your thyroid gland to produce a sufficient amount of hormones. Not producing enough hormones can slow down your metabolism and plateau weight loss. You can find these essential minerals in meat, seafood, legumes, nuts, and seeds. There are a handful of spices that may help increase your metabolism. 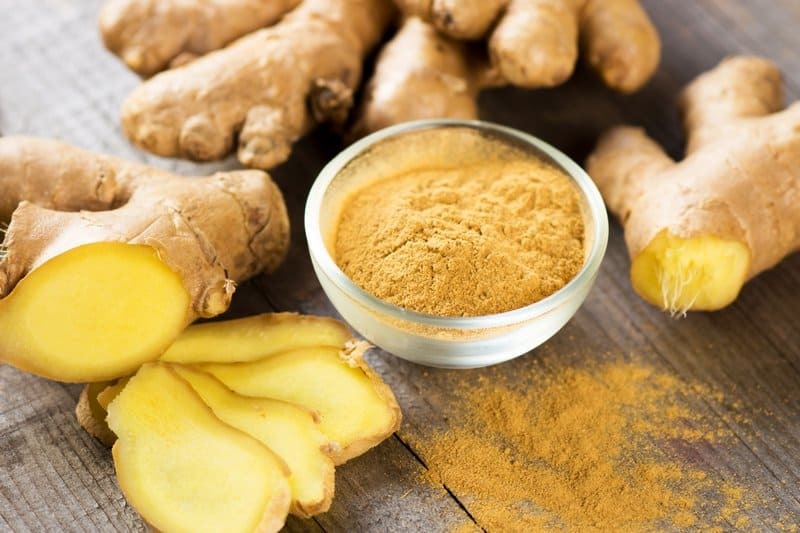 Research shows that mixing two grams of ginger powder in a hot cup of water and drinking it before a meal may enable you to burn up to 40 more calories than you normally would. Ginger has also been known to curb appetite and make you feel fuller. 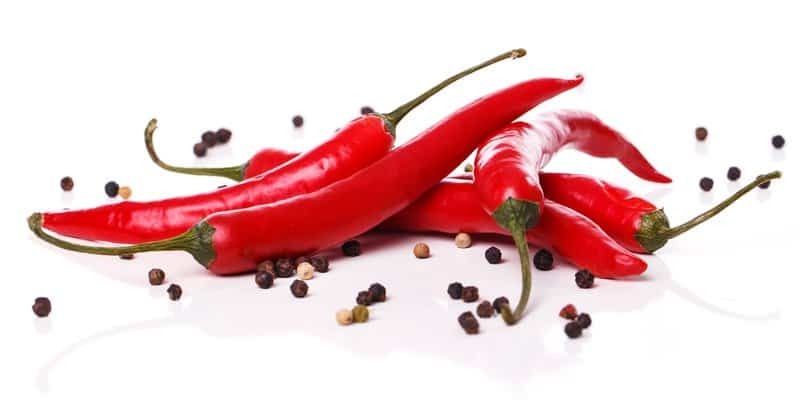 Similarly, adding cayenne pepper to your meal may increase the amount of fat your body burns for energy. However, the effects of metabolism-boosting spices are subject to change from person to person. 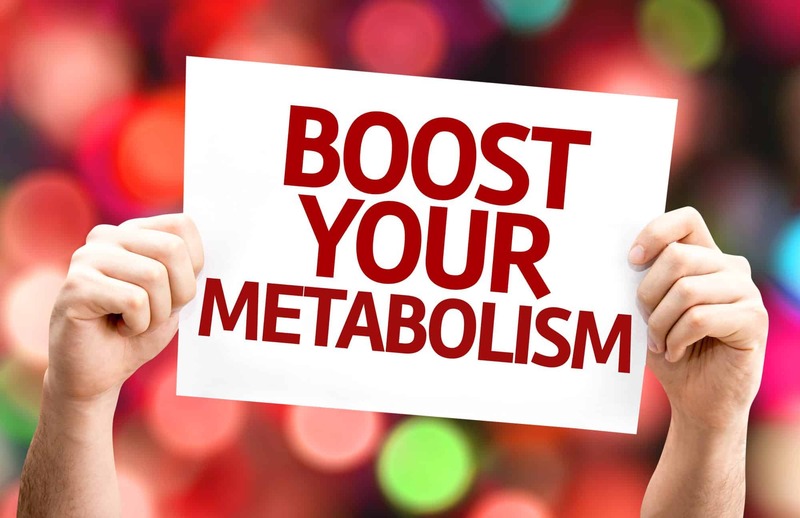 Although metabolism and weight loss are not as closely correlated as we might think, there are a number of ways in which you can optimize your eating habits and daily life to boost your metabolic rate. Incorporate some of these tips into your daily life to burn more calories throughout the day and stay on top of your weight loss goals!